The popularity of TV series is growing higher and higher everyday. Some of the shows are even capable of overshadowing the film industry. We all know about the best of bests such as Band of Brothers, Breaking Bad, Fresh Prince Of Bel air and Saved By The Bell. But today we are gonna list some of the current TV shows that are making a difference in the present. We are not listing them based on their ranking as each and every one of them have their own taste. So here are some of the Best ongoing TV series right now. This is the most popular and trending TV series of all the current ones and also the highest rated TV series currently by several popular sites such as IMDB and rotten tomatoes. It’s literally got everything that one expects from a TV show. It has everything drama, action, comedy and what not. The story is set in a medieval period with mystical creatures like dragons, witches, magic and much more. Not to mention the fact that this show has proved that no one in this tale is safe, not even the main characters. This was proved at the end of the first season when the mighty Ned Stark is beheaded and yes indeed THE RED WEDDING 😥 . Every one in the world of Westeros is endangered. Can’t wait for the next season to come out later this year. Winter has come!! 1.Best in class CGI is used for this TV show. Everything in this show looks so real that its hard tell which one is CG and which is not. Kudos to the CG team. 2.Instantly addictive BGMs. If you guys dont agree then you have to listen to the the song Rains of Castamere. 3.Unexpected twists. Cant say anything more than this. Don’t wanna let out spoilers 😛 . Now this one is a contrary to the previous one. Yes, you guessed it right it’s based upon the famous zombie apocalypse. Trust me on this you can never stop after watching one episode. The story line is that pure it just lures you in. This series depends mostly on prosthetics for the zombies rather than CG which gives it an extra spookiness. 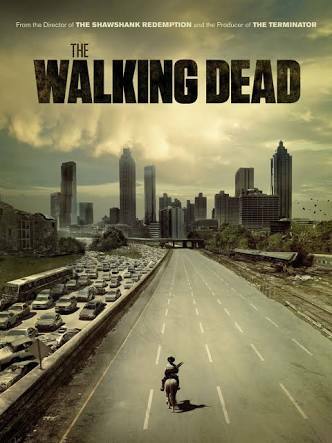 The Walking Dead attracts the most 18- to 49-year-old viewers of any cable or broadcast television series. It is presently airing its seventh season, which began on October 23, 2016, and has been renewed for an eighth season to air in late 2017. It’s being telecasted in AMC. The series has been well received by critics and nominated for several awards, including the Writers Guild of America Award for New Series and the Golden Globe Award for Best Television Series – Drama. An AMC companion series, Fear the Walking Dead, debuted on August 23, 2015. 1. Fast moving. And by fast moving I really do mean it. Its high paced script will make sure that you eat out all your nails. 2. Brutality. Well here is where Walking Dead and Game of Thrones becomes friends. 3. Top notch acting. Every character in this show is well defined and also well portrayed by the actors who play them. Can someone’s biopic can be interesting and nail biting? Yes it can if it’s about Pablo Escobar. You read it right! It’s about the drug lord’s life events. The Narcos team got everything right about this. It’s a Netflix Original that nailed even the top TV players. The way Pablo Escobar is portrayed in this show is something that is extremely brilliant. 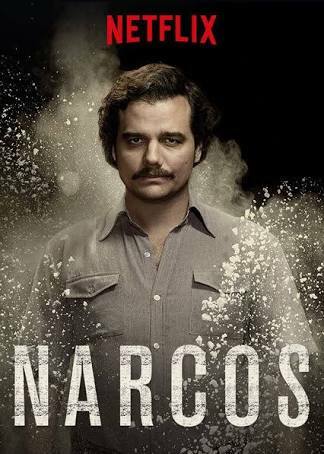 This show is well praised for its portrayal of real events and not just protraying Pablo Escobar as a cruel person. It also shows his love and affection towards his family and his wife especially. The best part of the series is when they start portraying the downfall of Pablo Escobar. At some points, they make you feel bad for his life and for his downfall and you may even start supporting his actions. The narration of this series is also something that has to be praised. 1. Insanely addictive screenplay. Personally I have never seen a more exciting biopic in my life. 2. Great story. A story that is worth to be told. 3. Realistic showcase of events. They parallely show you both the real event and the featured one which gives an extra bit of perception about what happened. If you’re a superhero lover, you can’t afford to miss this. 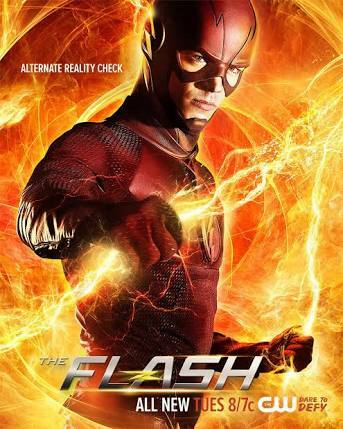 It’s based on the DC comics character The Flash, one of the best superhero shows currently. The review aggregator website Rotten Tomatoes reported a 97% approval rating with an average rating of 7.5/10 based on 58 reviews. The website’s consensus reads, “The Flash benefits from its purposefully light atmosphere, making it a superhero show uniquely geared toward genre fans as well as novices”. Metacritic, which uses a weighted average, assigned a score of 73 out of 100, based on 27 reviews, indicating “generally favorable reviews”. It’s available on CW channel. Flash became the CW’s most watched and highest rated series premiere since The Vampire Diaries in 2009. It also became The CW’s second-most watched series premiere ever, behind 90210, and the third-highest rated in the 18–49 demographic. 1. Stories adapted from comics. The creative team wanted to make sure that the Flash would resemble his comic book counterpart, and not simply be a poor imitation. 2. Different from cliché superhero stories. Trust me, you have to watch it to believe it. 3. Almost fools you to believe that it’s real and makes you feel like a kid again. This one takes us back to our childhood days. Are you a fan of Steven Spielberg’s ET? Then you’ve absolutely no reason to hate this one. The plot is set in the 80s where a few school going boys find a supernatural girl almost of the same age and these boys tries their best to sought out her problems. Another Netflix original that nails it. Looks like It’s available on Netflix. The show was released on Netflix on July 15, 2016. It received critical acclaim for its characterization, pacing, atmosphere, acting, soundtrack, directing, writing, and homages to 1980s genre films. On August 31, 2016, Netflix renewed the series for a second season of nine episodes, to be released in 2017. Review aggregator Rotten Tomatoes gave the series an approval rating of 95% based on 61 reviews and a weighted average score of 8.1/10. The site’s critical consensus states, “Exciting, heartbreaking, and sometimes scary, Stranger Things acts as an addictive homage to Spielberg films and vintage 1980s television“. 1. Nostalgic memories. If you are an 80’s or a 90’s kid, then its gonna ring a lot of bells in your head. 2. Different script. Something different from a lot of adult stories that we see these days. 3. Nothing, those kids are adorable. Nothing more to say 🙂 .